Last year was the year of the birds. This year, it is the pigs that get the credit. Despite the fact that, until now, not one single pig in the entire world is dying, or has died of, influenza. The WHO has once again justified its existence with another raging success, calling the annual outbreak of influenza “Swine flu”. If you hadn’t noticed, this outbreak happens every year around this time. Remember the “Hong Kong flu”? SARS? “Bird flu”? Or what about “Spanish Flu”? It’s annual. And guess what. People have died of the dreaded influenza since time immemorial. Most of us that get it, get sick and feverish for a few days, feel like hell and then get over it. The young, the old and the generally infirm have always been at risk and invariably, a few die. This is not new, people. It’s an annual event and has been going on for ever. You have more chance of being struck by lightening than getting this years bug and actually dying from it. No matter what one calls it. 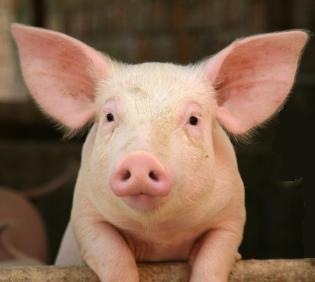 Egypt has totally misunderstood the name and has ordered the destruction of around a quarter of a million pigs. I didn’t even think they reared pigs in Egypt as they are primarily muslim and do not readily eat the filthy pork, but one would at least expect their government would investigate the true nature of the disease before needlessly destroying all that bacon. Here at home we are simply caught up in the general idiotic panic that comes with all things mildly pandemic in the news, compounded with similar ignorance. I heard one young lady being interviewed on TV, who claimed she wasn’t worried as she didn’t eat pork anyway. I don’t think she was an Egyptian. Talk about mad cows. Since the announcement last week of “Swine flu”, anyone that gets a sore throat and a cough or even a little sweaty and feverish has been suspected of having contracted the dreaded disease. So far, despite the doctors and their best efforts, not one case has been proven. This doesn’t mean that we should give up though. You never know, we may get lucky and find someone genuinely sick with it within the next month or so. The hospitals are all geared up with buckets of Tamiflu and other antiviral meds, just in case. I hope so. I look forward to the closing of theatres, football grounds, railway stations and shopping centres and such like, as has been done in Mexico. That should keep the plebians off the streets at night. In the meantime, I am going to carry on as usual and do as I always do. I stay away from sick people. Oink, oink. This entry was posted on April 29, 2009 at 1:36 am	and is filed under Generic. You can follow any responses to this entry through the RSS 2.0 feed. You can leave a response, or trackback from your own site.